As the saying goes “There’s no place like Home”. Buying our own home is one of the biggest financial decisions we make during our lifetime. The Majority of people, regardless of whether they buy as an investment or to live in, will finance their home through a housing loan. Without a guidebook, it can be challenging yet engrossing to compare different housing loans that fit into your needs, for example interest rates, withdrawal options and lock-in periods. Does it sound similar to your current situation? Let’s take a look at some of the common questions listed below before making your move. Which banks offer the best rates? “Which banks offer the best housing loan rates?” is often the first question that comes to mind. However, there is no absolute answer for this question because interest rates vary with numerous factors such as the loan amount, loan tenure, credit history and so on. Is it true to say that the lower the interest rate, the lower your payment?. Generally, yes. Nevertheless, solely looking at the interest rate alone may lead you to making a suboptimal decision. Be reminded that you should also pay attention to the terms & conditions (T&C) on paper because they affect your loan instalment amount as much as the interest rate does. For example, imagine that the T&C states that the loan is bundled with 5 years lock in period (early termination) and 5% penalty fee. It means that without paying a 5% penalty based on your outstanding balance, you cannot pay off the outstanding balance or refinance the loan within the first 5 years. The statement above is not meant to undermine the importance of interest rates in a loan agreement. Interest rates do play a crucial role in your monthly instalment and the compounding effect scales up your total payment. In other words, even a slight interest rate difference in your monthly installment will eventually accumulate to a huge amount of money paid additionally when you look back at the end of the loan tenure. Which bank provides full flexi loan service? 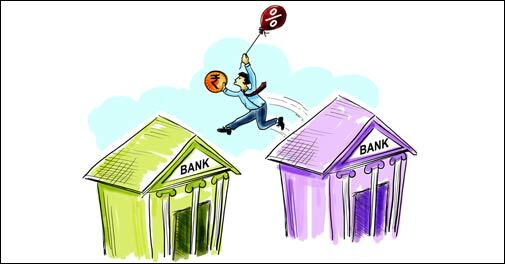 Some people may not be aware of the effect of flexi, semi-flexi and non-flexi loan option when comparing housing loans. Essentially, a flexi option allows you to put withdrawable additional money in your loan account. A full flexi loan allows you to withdraw without incurring any charges whilst a semi flexi loan charges you when withdrawing money from the account. Read our previous article full flexi vs. non flexi property loan to find out more about the different options. In this respect, we recommend you to go for full flexi loan if you have additional money to make advance payment in order to reduce your outstanding balance. Furthermore, the cash balance in the account will be excluded from the outstanding balance during interest calculation. This gives you more flexibility and just imagine how much you can save by paying less interest! Nonetheless, you might have different needs and there is nothing wrong with applying for a non-flexi loan because the interest rate could be lower still. For those who are interested in applying for full flexi loan, you can refer to the table below to kick start your selection process. ***The table above shows loan packages based on residential property valued at RM 500,000 with a tenure of 20 years and 90% Margin of Finance. Which loan package has the shortest lock in period? Lock in period is another factor that you should consider. As the name implies, the lock in period is the time range when penalty fees are imposed if you intend to pay off the loan early. The penalty fee also applies to breaches of the contract as well as cancellation and conversion of the loan agreement. In general, penalty fees ranges from 2% to 5% of the outstanding loan balance. Should the loan packages in comparison consist of lock in period, it is always wiser to choose the shortest lock in period with low penalty. However, some banks do not charge a penalty if advance notice is given. Moreover, for loan packages with zero lock in period, it might have higher interest rate as compared with loan packages with lock in period. Which bank approves loan application in the shortest period of time? It is very difficult to determine which bank has the shortest approval time because banks have different procedures and different requirements for applications. On average, it takes them about one to two weeks to approve the loan if complete documents are submitted. To prevent any delay of approval time, prepare yourself a checklist of the documents required by the banks. Buying a house can be a major milestone in your life, that’s why you need to plan it carefully when searching for a housing loan to prevent any regretful decision. Although housing loans benefits you by spreading the cost over a longer period of time, we still see borrowers suffering from paying monthly instalment because of not planning their financials cautiously. To avoid plunging into financial predicament, do yourself a favour by consulting the experts before taking on a loan.